The heartbroken mother of an alleged drug dealer who was shot dead by police on an M62 slip road broke down in tears and had to be supported by mourners at his funeral service. 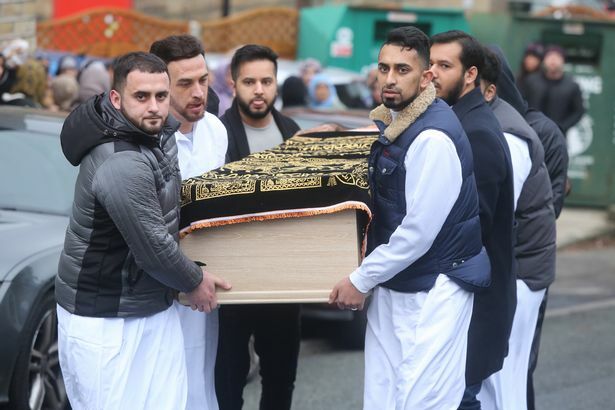 Mohammed Yassar Yaqub, 28, was laid to rest four days after he was fatally shot by police officers who were investigating a report of a person with a gun. 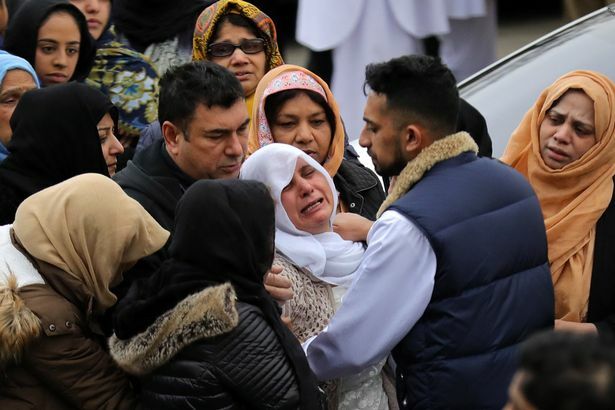 His mother, Safia Bano, was visibly distraught and his father, Mohammed, was comforted as his coffin was carried out of the Jamia Masjid Bilal mosque in front of hundreds of mourners in his hometown of Huddersfield. 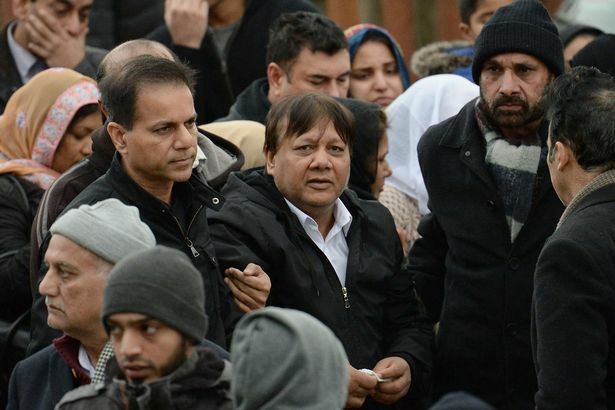 The crowd was so large that many mourners couldn't fit inside the mosque in Lockwood and were forced to wait outside during prayers on Friday morning. Yaqub's coffin was carried into and out of the service through the men's entrance, and mourners embraced as they paid respect to the father-of-two. 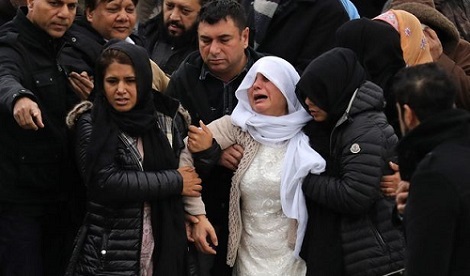 After prayers Yaqub's body was buried at Hey Lane Cemetery near Castle Hill. He died on Monday night when West Yorkshire Police officers in unmarked vehicles opened fire on an Audi car that they stopped at Junction 24 of the M62. A post-mortem examination found that he had suffered gunshot wounds to the chest, said the Independent Police Complaints Commission, which is investigating the incident. 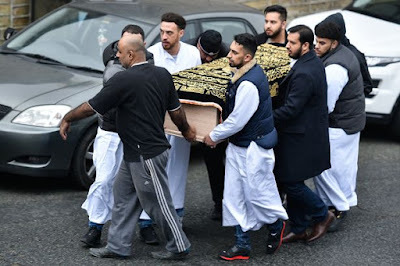 Three bullet holes were visible in the windscreen of the Audi carrying Yaqub, and the IPCC confirmed that a non-police issue firearm was found inside the car. 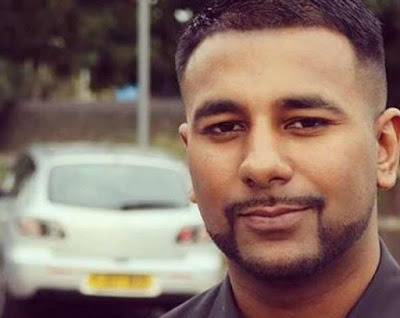 An inquest into his death was opened and adjourned in a three-minute hearing at Bradford Coroner's Court on Friday morning.